Most Southern Californian outdoorsmen are familiar with Turner’s Outdoorsman, Southern California’s leading hunting, shooting, and fishing specialty stores. They began in 1971 as a single store in Long Beach. Over the years, they have grown to 19 stores, located throughout Southern California. 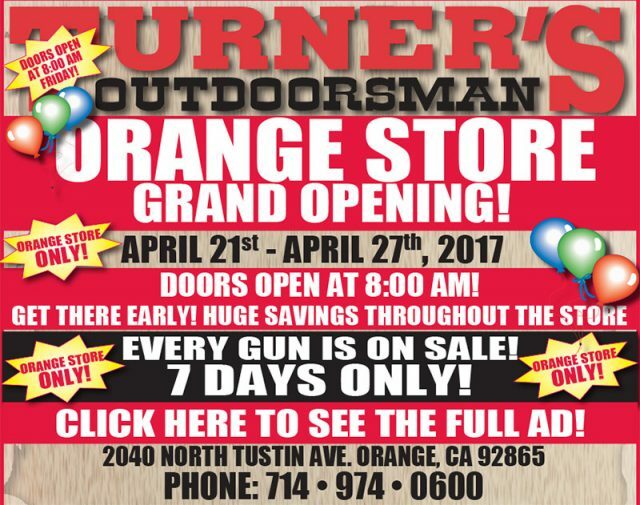 Turners takes pride in being your neighborhood store and is Celebrating the Grand opening of the Orange Store. Check out their website for full details on the many great deals or visit one of their stores.